We are always interested in hearing from animal lovers that are experienced Pet Groomers. We do require references, always feel free to apply or call us regardless of if we are advertising for help or not. We value and reward you for your talent and know a good dog groomer is very hard to find! Step 3: Wait for a response, sorry we will not be able to contact everyone who applies, we receive hundreds of applications. Almost every business has a mission statement. Unfortunately, once those mission statements are created and shared, they often are forgotten, and have little if anything to do with the company’s day-to-day work. Thankfully, this isn’t a “mission statement.” It’s a strategic vision – meaning it can actually be followed today, every day and into the future. The main difference is that once we are clear on the company’s vision, we can act on it with our daily work. It’s designed to let us all know how we fit into the Karla’s Pet Rendezvous story in meaningful ways. It will be used on a regular basis – by everyone – as a guide for who we serve best, how we serve them better, and why it is truly worthwhile to work here. The most important part of our strategic vision is for all of us to clearly understand more than just our daily work routines, but how what we do, how we act and our attitudes impact our customer’s lives and their beloved pets. It is of utmost importance that we know how our actions, attitudes and communications can improve the happiness and quality of life of our customers and their pets. The best way to do this is by communicating through our our actions. I’m excited about this vision and I hope you will be too. Thanks for taking the time to read this, your understanding of it will help us to help you have a better work environment. The type of customer that we should serve best is just like Pat Miller. She has a second home just 8 miles from our facility and dearly loves her dogs Oscar and BeBe. In fact, she loves them so much that she considers them part of the family! And because Pat is a conscientious owner she is willing to be picky regarding who helps her take care of them. For her it all started back in college. In a great class that emphasized the role of volunteering to make communities better. At that time she decided to volunteer at the local humane society. And she immediately fell in love with dogs and with taking care of them. Well that was a long time ago and now Pat’s kids are grown but Pat’s love for animals is stronger than ever. 1) Peace of Mind and 2) Outstanding Service. When we say “peace of mind” that means something very specific. Peace of mind means the ability to relax – to really relax. 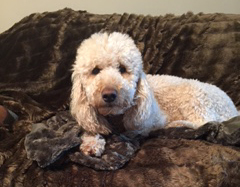 Our customers want to know that their dog is in the best hands, getting the best treatment, and having a blast. They want to know that as a dog owner they are doing the best they can for their dog and it matters. It means knowing they can trust us. In building that trust, we really get to know our customers and their pets. We know what they do and what they like. We congratulate them on personal and professional victories and we care about their setbacks. In getting to know customers like Pat on this level, we can better anticipate their needs and be ready to serve those needs…even before they ask. We can also recommend care for Oscar and BeBe that Pat might not be aware of. 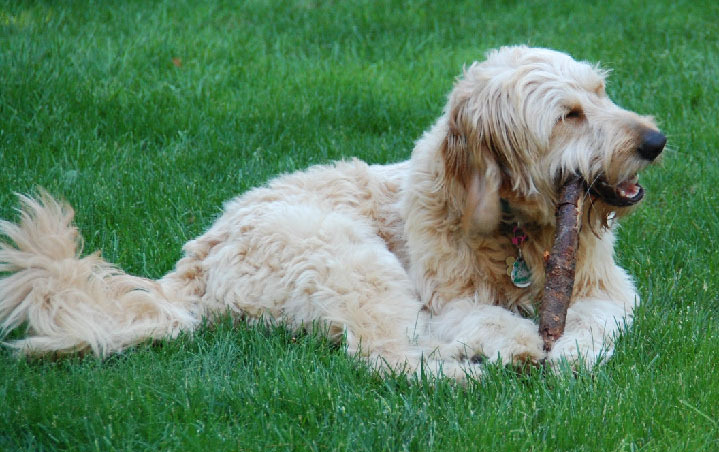 This keeps her pets in peak health and happiness. The other aspect of peace of mind is that we listen. Carefully. And we answer questions with professionalism and courtesy. We take our customers concerns to heart and want to let them know that we are interested in understanding and solving those concerns more than looking good. If something can be made better, we’re on it! Outstanding service can sound like a marketing term but at KPR we really mean it. The Pat’s of the world have a certain expectation – thoughts about how things should go and the results she wants to see. And it’s our job to deliver consistently and professionally. Now let’s talk service. This means that our customer’s dog is happy. They think to themselves, “My dog is having as good a time or better than I am” while on vacation. Our goal is to have everything our customers need. But it doesn’t end there. Having options available is good but it only becomes excellent when the way those services are provided and priced exceeds expectations. Our goal is to go beyond expectations. In doing that we have to have world class service, products, and professionals. But we also have to have a culture that inspires everyone to think ahead and to consider what might be important to any particular client. Perhaps it’s just a reassuring phone call or an unexpected gift at checkout…whatever it is, it’s found by paying attention to our customers needs and acting in meaningful ways. It wasn’t too long ago that Pat and several of her friends decided to go on a vacation to Italy. Pat had been there as a college student but always wanted to go back. But the busyness of life had always gotten in the way. After Pat’s oldest child graduated from college, she decided it was finally time. Ciao! As she was happily planning her dream vacation, 3 weeks in Italy, choosing the right hotels, organizing the activities, deciding which museum, which restaurants, she was suddenly struck with an overwhelming feeling of guilt. Why? She was supposed to be excited and happy – but suddenly that all seemed to disappear. It was the thought of her dogs. Would they have as good a time as Pat? Would they be happy and well cared for? What kind of owner would she be if she left this to chance? At this point Pat had not yet come to be a customer at KPR and just tried to make do with what she could find in the way of dog care. She was not very happy. And with this trip in the planning stages, she promised herself that this time would be different. Very different. Pat found us through our state of the art customer care system. We pride ourselves with being in communication with our customers. And it turns out that a twice per month communication is just what our customers want. Our automated system helps keep them up on events and specials in addition to the facts of their dog’s most recent visits and other account information they want to know. In our system, we will occasionally send out a request for referrals where we offer a great discount on the services our customers most use and value. In fact, we send them an email perfectly designed so that they can just forward it to a few friends while they are thinking about it. We found that if a referral system is not easy and convenient, it will likely not work. And since referrals is the #1 way we grow, we had to get this right. Our customers friends get a great looking email and if they use the offer, then the referring customer gets the discount. Customers with the most referrals get special end of year rewards and accolades. We call it the “Top Dog Contest” where our top 10 clients of the year get priority booking, special free treats, a monthly discount off anything, always free playtime, and a discount off spa services. Yes, they love it! That’s how we first met Pat. Her neighbor had been a long time customer of ours and upon getting the email, she forwarded it to Pat. The page, anticipating her desire, ended with a specific call to action and a free article of interest to Pat regarding safe dog play. She was so excited about the expertise and professionalism that she used the page to register for a free tour. And within a few minutes she got a call from us to confirm and to gather a few more details – making sure she knew what the visit would be like and how to find us easily. This inexpensive relational marketing system is where 95% of all our new business comes from. It’s automated. It’s effective. And we don’t even bother with many of the traditional but expensive forms of marketing because we know that “selling” just doesn’t work. What works is a trusted friend telling about the value they received. Friends seeing the excitement in their eyes and the health and happiness of their dog – that’s what drives our growth! As you can see, we want to start the relationship on the right footing so that long term trust can be established. KPR really becomes part of our customer’s family. We’re not just another stop on the to-do list. We care and we know them and they value us for that. The day before Pat’s tour, she automatically received an email that gave her a break down of service explanations, costs, and policies. These are written in plain language so that everyone can easily understand them. Pat really liked this upfront, clear information about costs and services. And the bond of trust took another step forward. Because Pats travel plans were coming up soon, she needed to take the tour soon. On the day of her appointment, she pulled up in the parking lot, we were ready. Pat came in on a Saturday morning for the meet and greet – we call it the Saturday Morning Sausage and Biscuit Social. Our assistant manager had the welcome brochure and rate card in her hands (which includes the pricing, policies, services, and other useful information) and graciously walked outside to meet Patand the boys. Well, since Oscar and BeBe had been used to being cooped up for sometime, they were a real handful getting out of the SUV. Much to Pat’s relief, we helped guide both dogs inside and on to a play area where they were greeted by our trainers. 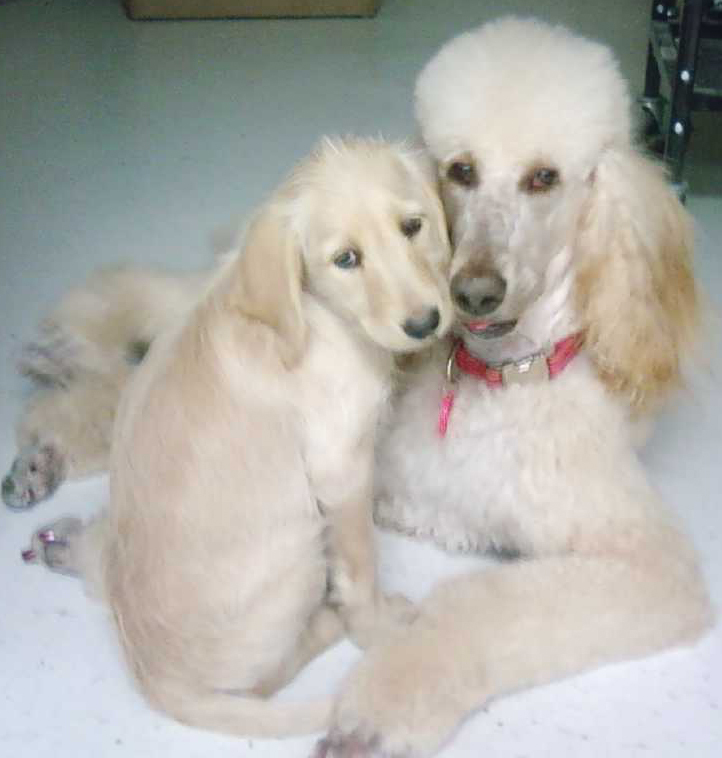 Since every dog is evaluated to better understand their temperament, Pat was assured that they would do well. And she knew they’d be with other happy, well adjusted dogs too! At this point our assistant manager presented Pat with her personalized welcome binder. These binders look great with our logo and colors and have easy to use tabs so that the customer can easily find what they need. After visiting the different areas of the facility and enjoying her coffee, she left for brunch happy and excited. When Pat came back to pick up the dogs, she was asked if a particular package or service worked best for her. She enthusiastically said, “Yes” and the arrangements were made for Oscar and BeBe to spend their vacation with us! Well the big day finally came and Pat dropped off her dogs, said a heartfelt good bye and was reassured by our staff that the dogs would be fine, happy, and well taken care of. With a few tears and some smiles, Pat drove off towards the airport. She had a connection flight to JFK International airport and then was flying on to Milan. In the rush of those busy few hours her thoughts focused mainly on the logistics and getting to each thing on time. Once her connection flight landed at JFK however, she had a 1hr layover. And in the lull hear came the flood of thoughts about Oscar and BeBe. Were they scared? Were they ok? And then she remembered she could SEE them. That’s right! On the KPR website, they had a private members page where she could simply log in and watch them play! After a few links clicked, there they were! The smile on Pat’s face was radiant seeing her dogs playing, running by the play ground, and jumping into the swimming pool! The dogs all looked so happy. Several Pet Care Technicians and a trainer were there with treats rewarding the dogs and everything looked so fun. Supper time -Venison Holiday Stew & Thanksgiving day dinner – cooked meals made just right! Aroma & Skin therapy (lavender & oatmeal, ginger & pink grapefruit, vanilla & white tea) calming treatment! Before she knew it, the announcement rang out for her flight to board. She’d just been whisked away with Oscar and BeBe and was thinking how amazing their vacation was going to be too! She took a deep breath and let out a sigh of relief. Now to Italy in peace! Much like Pat’s experience on vacation, our customers can get the same quality care and services in a single day too! Our Doggie Day care comes will all the amenities Oscar and BeBe received during Pat’s Italian getaway. We offer facials, special shampoos, etc. with exceptional products and care. In fact we also offer hydro therapy – this is a machine that pulls the shampoo and pulsates like a shower head on the dog to invigorate the skin and remove dead skin and dandruff, which leaves the coat shiny and conditioned and easier to handle. One of our services that many don’t expect but truly value is the great education we give our customers. We help them understand the healthy food choices which we can offer, good nutrition, the best toys, and treats. We help them become better owners and feel great about how well they can take care of their dogs. In fact after Pat returned from Italy to pick up her happy, healthy, tired dogs, she was hooked. As a regular, she now takes advantage of many of our services each week. One of which is our self serve dog wash. She brings the family, rolls up her sleeves, buys coffee here with us, gets her spa products, (high quality, scent of the month – like “warm oat meal”) and gets to it. The tables are electric so there’s no lifting required, state of the art shampoo dispensing system, and the blowers clear out the loose hair, dead skin cells & water to minimize drying. It’s really fun! And again it makes Pat feel like a great owner. Pat is what we call a Rendezvous Regular! And yes the extras just keep coming. She gets package discounts and extras, and salon appointment same day booking…once per month or more is the standard for being a RR. For Pat this is just another way we go beyond expectations. We have a veterinary technician and trainer on staff so any special feeding and medicating that is needed can be provided. There’s even a vet on the premise to provide any specific medical care just in case. Hopefully by now you can see we take our best customers like Pat all the way to “wow!” And that is what makes us different from other facilities. All applications are filled out online – we ask them to have their vet to fax over records. It all works great! In line with our desire to provide the “above and beyond” experience for Pat, a few days after her first daycare appointment, we followed up with a call. In this call, we want to hear first hand how her experience is going and if there’s anything we can do better. This call data is recorded in our customer system so that we can follow up as needed. We also let her know to look for our member’s email and what it will contain (offers, discounts, and education). It also includes a pictorial slideshow showing clients in the facility having FUN! A few months into this new relationship, she is informed about our training services and incentivized to try it out. With our combination discount (a discount for multiple services) she decides to try it out. Of course, she loves it! We want to make sure every need is handled and anticipated with excellence and professionalism in a systematic way that builds a long term relationship. To serve our best customers in this way, our team has to be the best. Our staff is upbeat and happy, professionally dressed, and knows what’s expected of them. We all use the proper terminology for our services and are well versed in communicating them with prospects and customers alike. In fact every job function is documented and fully systematized. There’s a special “way” we do everything. And we reward our employees for the great work they do. We’ve worked hard to incorporate a system called the Master Plan. Our Master Plan helps everyone of us work at our highest level. We all take ownership of our responsibilities and feel great about knowing that our efforts are rewarded. The emotions of our customers may seem to some as being irrelevant. But to us, this sensitivity is how we build life long relationships. For example in Pat’s case, she’s a retired pediatric physician. She loves to travel, but it takes a lot of her time. That had left her feeling guilty about not being able to give Oscar and BeBe the kind of quality care and attention she knows they deserve. When she came to us we were able to take all that away. Part of the value we bring to her is to take that guilt away by providing the above and beyond services that make her feel like a great dog owner again. Of course, that feeling of unease can also come from the basic concern about a pet being lonely. Dogs left at home are likely to be injured or to injure themselves and it’s important that we communicate our policies and practices clearly so that our customers see and know that we provide a very safe environment. The reason we have systematized our work and have the best, most qualified, dedicated staff serving our customers the way we do is because WE LOVE ANIMALS! We love the satisfaction of supporting the vital relationship between pet and owner. 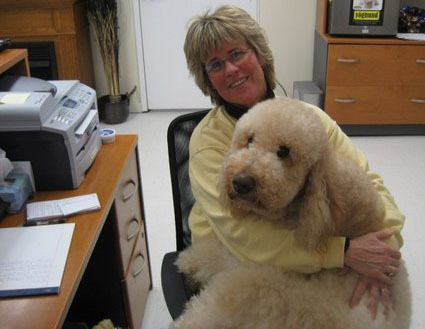 It all started in 1977 when Karla apprenticed with a dog groomer and fell in love with the idea of working with animals. She discovered there was never a dull moment. Unlike other types of work, she was never looking at the clock to see when the day was over. It was truly unlike any other job, this wasn’t work! She was taught by the best in the industry to be caring, loving, and kind but also the use her skills with the excellence that makes a business succeed. A few years later after a short break devoted to her family, she returned with a passion and was able to finally realize her dream. Karla’s Pet Rendezvous was born! She finally created a place where animals are having a great time. No more facilities that put the animals in some type of industrial storage like the old days. This was something totally different. And now… the pets drag their owners in because they so strongly want to be with us. Dogs opening the large, heavy glass doors… owners following behind… yes this is a common scene and one we are so proud of! To accomplish this on a daily basis…the feeling is overwhelming…sending home happy, tired daycare & overnight guests, as well as exhilarated & contented Spa clients every day of the week! Clients leaving with HUGE smiles on their faces is reward for all who help make this happen at KPR! Karla’s motto is “kindness comes from the heart” and she has been providing loving care and outstanding services to pets and pet owners for over thirty years. This is our vision. This is what we are aiming for every day at KPR. This is why we are here. This is our strategic vision: our tool for making big and small decisions every single day. This is our standard and what we are here to accomplish! Please fill out the online job application below and the position you are applying for. Are you looking for long or short term employment? Full or part time? Please tell us why you want this position and feel you would be a good candidate for this job? If yes, when did you work for Karlas Pets? If yes, what year did you graduate from High School? If yes, what is the Name and Address of your High School? If yes, what year did you graduate and what is your degree in? By typing your name in the above box you certify that your answers are true and complete to the best of your knowledge. If this application leads to employment, you understand that false or misleading information in this application or interview may result in your release.